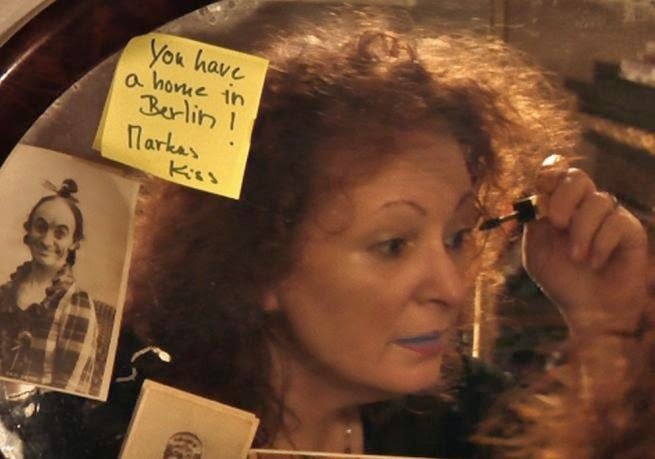 Excellent portrait of photographer Nan Goldin as she is today as told through her photographs and friends. This is not the place to learn everything you always wanted to know about Goldin but were afraid to ask, rather this is a look at the lady as she goes through her life, meeting friends, preparing her art and looking back at friends and family. Its a warm and fuzzy portrait of the woman that makes me think that had I met her 20 years ago I would have fallen madly and hopelessly in love with her. Good god what a woman. To be perfectly honest I'm not sure how to write this film up. The film isn't the sort of thing that you can really discuss or pick apart. This is a portrait of the artist of a certain period of time. You can't complain that it doesn't tell you everything since its not that sort of a film. For me this is really good time with a wonderful woman. Its does what any good documentary should do which is make you go out and try and find out more. When the film ended I jumped on line and was trying to find out more- more information and more interviews. Its a blast and a half. Go see this film. The film opens June 13th for a week long run at the Quad Cinema and the director Sabine Lidl will be at some of the screenings.